Where does your love of gin stem from? My love of gin mainly comes from bartending. In fact, as a bartender, I always loved creating new cocktails. Then I fell in love with creating classic cocktails such as the Martinez or a Negroni – and noticed that all of these contained gin! Cocktail bars happened to be some of the best bars to work in at the time. In reality, the most fun was to be had in a cocktail bar – and the most tips! How did you set out on the road to Gin Journey stardom? Gin Journey started in 2013. I’d just moved to London and had started working at the City of London Distillery. In addition to bartending, I was also hosting masterclasses there, and I noticed just how much I loved talking about gin. It also made sense as my dad was a geography teacher and my mum was an art teacher. So, Gin Journey launched in London from there. In fact, we started with a basic website, without ticket sales, then received a Guardian review of one of our first gin tours that very week. The gin renaissance wasn’t quite in full swing then, and we were one of the first gin events. However, then the review went viral! Describe a typical gin tour? We currently run gin tours in seven locations. So, there are three in London each Saturday in Soho, Shoreditch and Bermondsey, plus tours in Manchester, Liverpool, Leeds and Singapore. In fact, each gin tour has a similar model. So, there’ll be twenty guests, five different venues, and a gin tasting and cocktail to be enjoyed in each. You’re led by a gin guardian and chauffeur driven between each location. You’ll usually get to visit a gin distillery, too. What are the standout features that make your experiences different from any other? 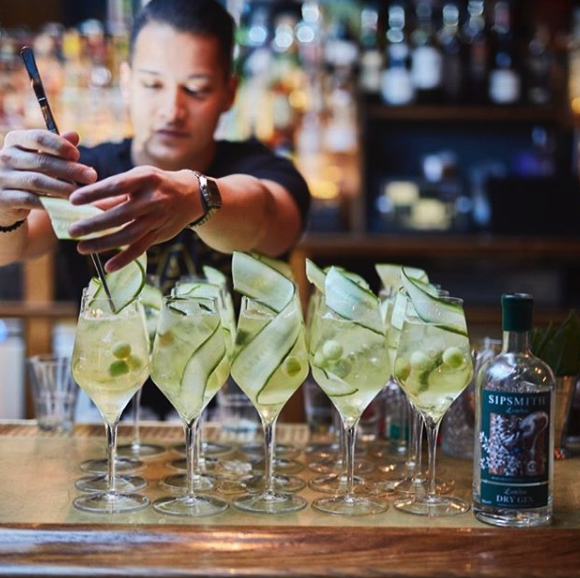 As a rule, gin tours or tastings tend to take place in one venue. But with ours, you get to experience five different venues, as well as the gin itself! 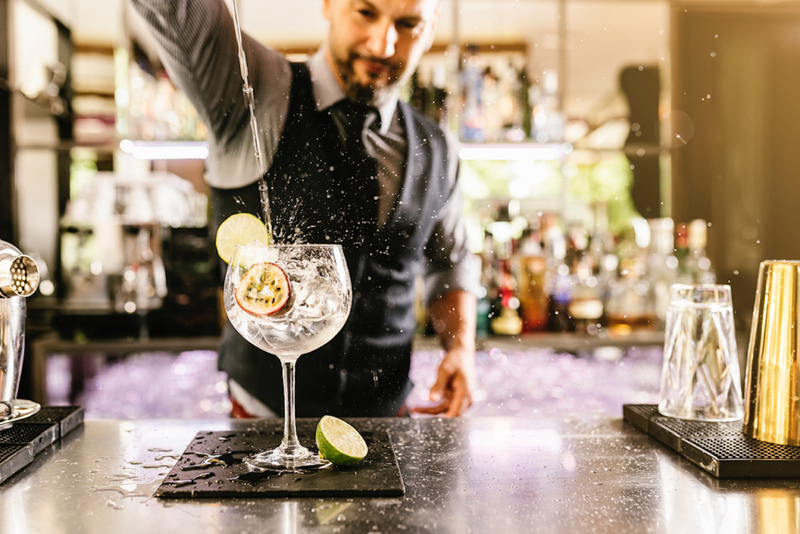 On top of learning about the history of gin, you’ll also be taken to a series of hidden gems and top bars that you probably wouldn’t know about otherwise. In fact, I’ve had people who think they know the places the gin tours are held in tell me that they’ve discovered new bars from our events! What’s the most important thing you’ve learned from The Gin Journey? In business terms, I’ve learnt the art of treating staff well. When I launched, I hadn’t really been a boss or manager before. So learning how to be a decent boss, and managing expectations is key. Do you have any tips for budding mixologists? Just enjoy yourself and follow your passions – bartending can take you so many places! At the drop of the hat, you could be working anywhere in the world. So enter competitions, give it your best, be humble and always remember to serve the customer that’s in front of you. What’s your go-to cocktail right now? Well, it used to be a Negroni, but I’m more of a Martini drinker now. I love the clear taste of a gin Martini, served with a splash of vermouth and an olive or a silver skin onion. 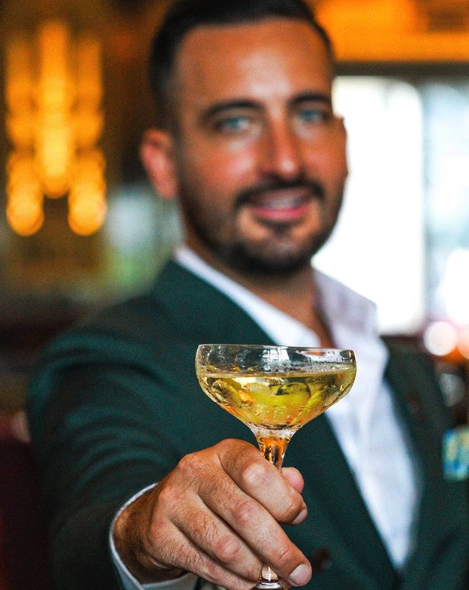 To be a good bartender you need to be able to make a good Martini – if you’re not making it correctly, you’re not serving the customer. I also love a Plymouth Gin Martini, but also love Sipsmith V.J.O.P, St George from California, and East London Liquor Company’s Batch 2 gin. Can you share one of your cocktail recipes with us? A sloe Negroni is a great drink for winter and it’s easy to make at home. You simply replace the standard vermouth measure with sloe gin. Take 1 part gin, 1 part sloe gin and 1 part Campari, and pour straight into a glass filled with ice. Then stir and garnish with a wedge of orange or some seasonal berries. What are the must-have assets for a successful mixologist? Customer focus, passion for the industry, and personally, I think someone who can smile and make you feel at home – and can chat! Travel really inspires me. I love visiting new cities and revisiting cities, too. Ultimately, my goal is to launch Gin Journey with gin tours in cities around the world. What should we all consider before making a G&T to remember? Firstly, it comes down to glassware. Use a highball or wide-rimmed wine glass. Don’t scrimp on ice either – fill your glass right to the top. 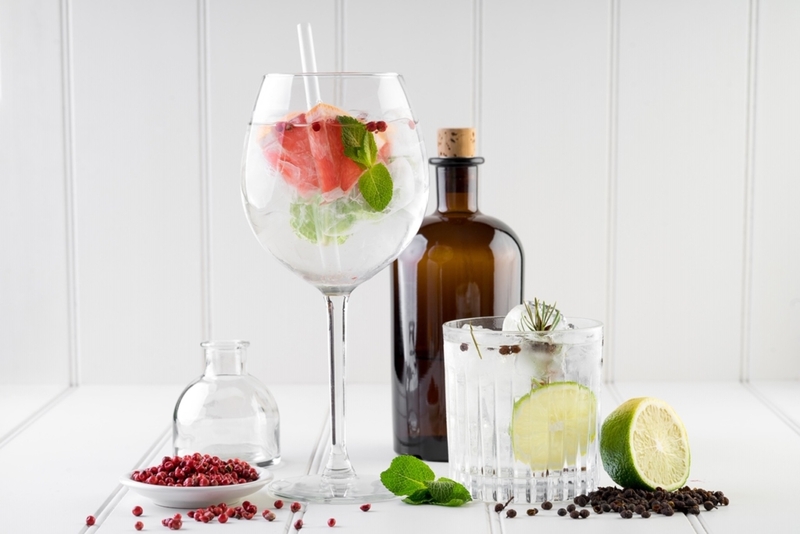 Half filling a glass with ice will dilute your gin, as the ice will melt quicker. The gin and tonic ratio is important, as is the garnish. A wedge of lemon is classic, but do experiment with herbs and spices such as rosemary, thyme and sage to get the nose going. Where do you see yourself in 2019? Any exciting plans on the horizon? I’m planning to launch Gin Journey in Sydney next year, hopefully by February. I’ll then spend the summer in Amsterdam. I’m hoping to launch gin tours there along the canals – watch this space! If you need to buy a gift for a friend or family, why not consider a Gin Journey voucher? And for those of you who want to be the hostess with the mostess during the festive season, check out our blog on 10 luxury Christmas canapés.